So clearly everyone knows how bad I have been at blogging recently and I thought that I would share some tips and things that I have been trying to do to help me get back into blogging. I know I am not one to talk so if you don't take any of this advice then that is fine but I thought that I would share it with you anyway! 1. Planning- I always find that if I sit down on a Sunday night and plan the blog posts that I want to write and publish during the coming week it really helps me stay on track to make sure I get those posts up at the right time. I do sometimes find it hard to think up blog posts for the week ahead but I love to read other peoples blogs and look what products have just come out to get a some ideas. 2. 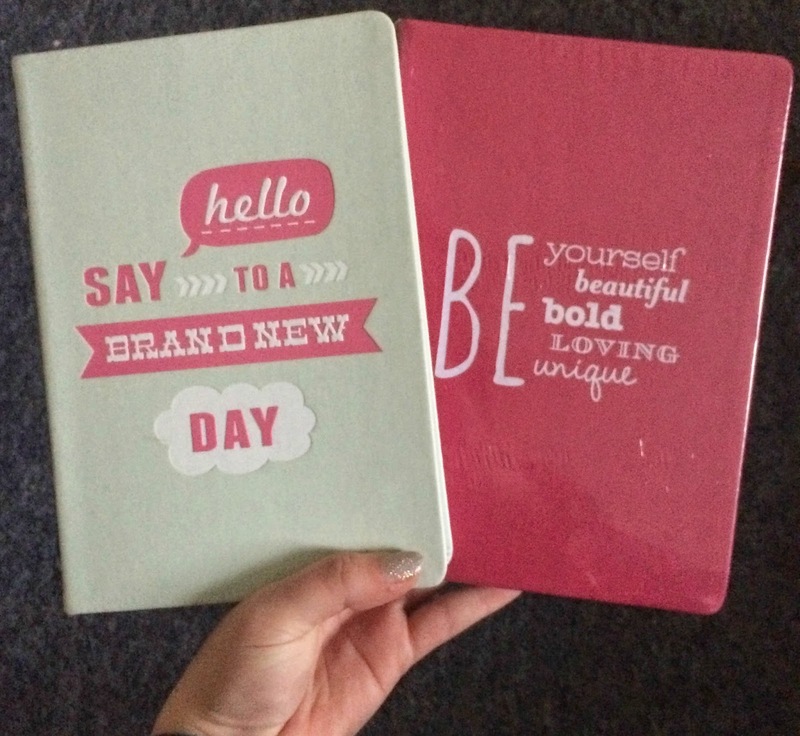 Inspirational Notebooks- I love notebooks that have inspirational quotes on the front because not only do they give you somewhere to write blog ideas but they also inspire you to blog. I especially love the pink one above that I got in TKMaxx that basically has my blog slogan on it and this reminds me to blog a lot more! 3. Reading blogs- When I am feeling pushed for motivation to blog I go to my bloglovin and read my feed of which show the new posts from the blogs I follow. This helps me think of topics and get ideas for more posts, this isn't copying because you don't take their blog posts word for word you just adapt an idea to suit your own blogging style. Obviously I am in no way telling you to steal others hard work because that is horrible and no one should have to go through that! 4. Occasions- Do you have anything special coming up that you could share with everyone? A birthday. an event? Or are you just celebrating a national holiday like Valentines Day? Write a blog post surrounding that because people always love reading post surrounding these topics. 5. Talking to other bloggers- there are often times when I feel like my blog is rubbish and I don't want to carry on any more. But if I feel like this then I take to my twitter and talk to my blog friends because they always make me feel better about everything and can help me with blog topics. They are often in the same position you are so don't be afraid to talk to them or offer them help as well as they might need it just as much as you. When you share ideas amongst a bunch of you, sometimes you can write one of the best posts that you've ever written! I hope this blog post has helped some of you that are struggling to keep up with the inspiration for blog posts and if this did help then please let me know in the comments below. If you also have any tips that may help me then leave them there as well because I am always looking for ways to stay motivated. I know I said this last time but I really am trying to get back into blogging however my units this term are really hard to I need to stay on top of them. As you can tell I am not doing a very good job of balancing them at the moment but I am going to be taking my own advice and work on that, with that I shall leave this and see you soon!